This 2 pages cv template is clean and modern, with excellent formatting to ensure that you capture all of the information required in a well professional manner. 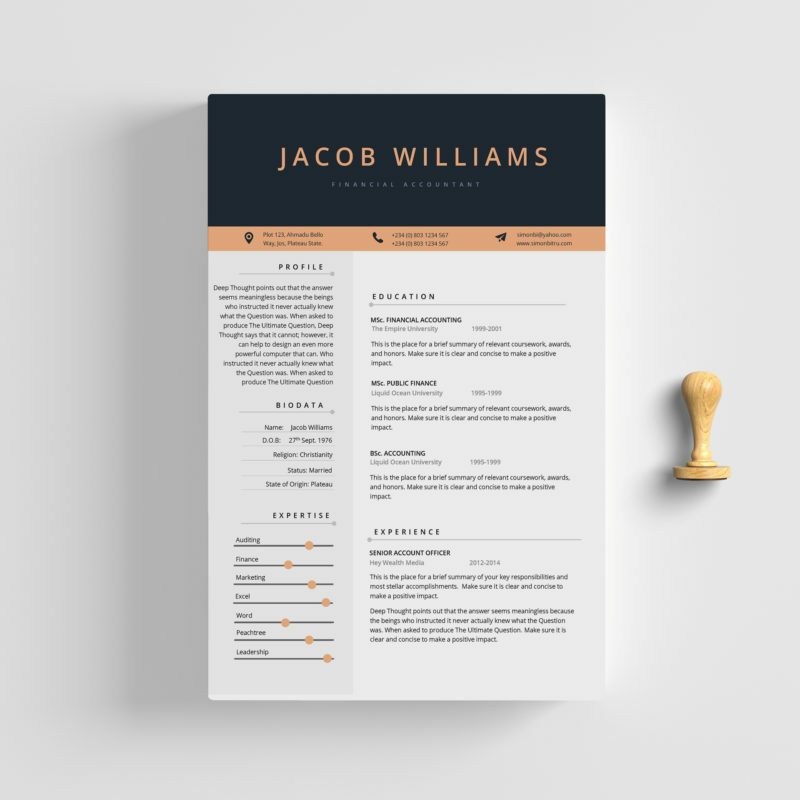 The elegant multipurpose design ensures that the template is easy to use and customize, so you can quickly tailor-make your CV/ resume for any opportunity and help you to get your dream job. 5 Pre-made colors with unlimited color options.